Information, Operation & Management Of Septic Systems A septic system is really a Wastewater Recycling System that utilizes the natural soil to treat the wastewater before returning it to the groundwater basin. What happens when you flush the toilet? Where does the wastewater go? Tell us more about how we can assist you. We will follow up with your request within 1-2 business days. For immediate service, feel free to call us at 262-629-9925. What Is A Well Inspection? A septic & well inspection by a licensed inspector is a normal minimum requirement to sell or re-finance your home. A proper inspection by an experienced and licensed professional protects the buyer and seller alike by offering a detailed and accurate evaluation of the condition of these vital systems. Chances are you have some questions. Check out these frequently asked inspection questions. 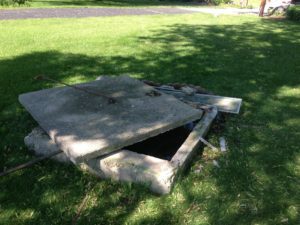 For over 27 years, JR's Inspections has provided expert Well & Septic inspection services to residential and commercial property owners in the southeastern Wisconsin area. We are proud to say that we have 1000's of inspections to our credit. That’s a lot of happy customers. Industry knowledge, uniform inspection standards, continuous safety training and a determined commitment to 100% customer satisfaction are the hallmarks of our service. With us you’ll have peace of mind knowing your property is in expert hands. And yes, our expert services are affordable. Call us today!